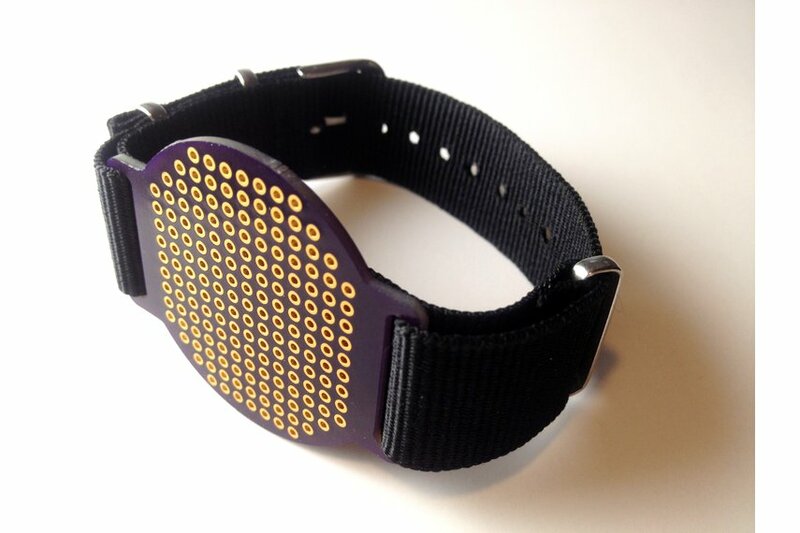 Pincushion Breadboard Bracelet combines the wearable “at-hand” functionality of a wrist-worn pincushion, with the electronics prototyping flexibility of a breadboard. 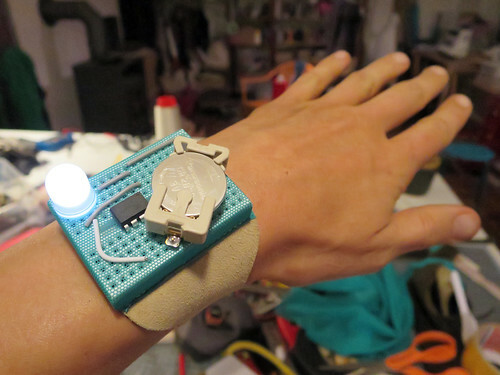 This wearable tool might not seem all that useful to you at first, but I would like to demonstrate that a Pincushion Breadboard Bracelet can be an extremely useful tool for for the right purposes. 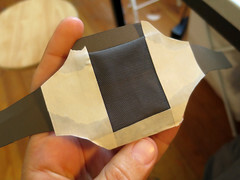 And, that part of what makes it so useful is that if you’re wearing it close at hand, it will be there when you need it most. 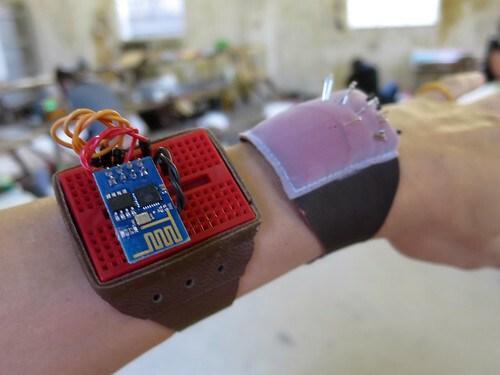 Following are some examples of the Breadboard Pincushion Bracelets that I’ve made for myself and for friends, and the diverse uses we’ve found for them…. 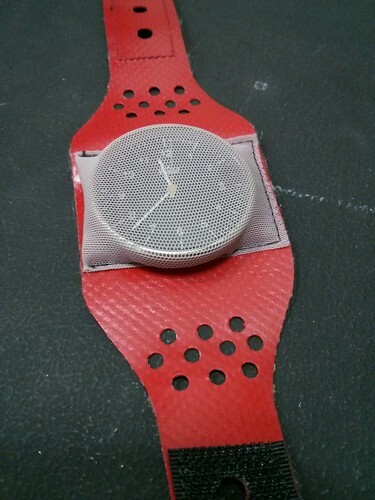 Made as a birthday gift. 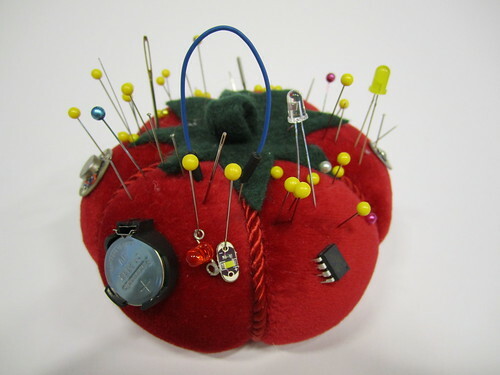 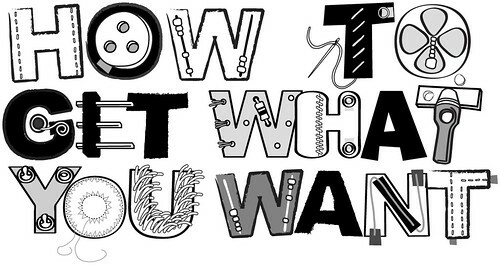 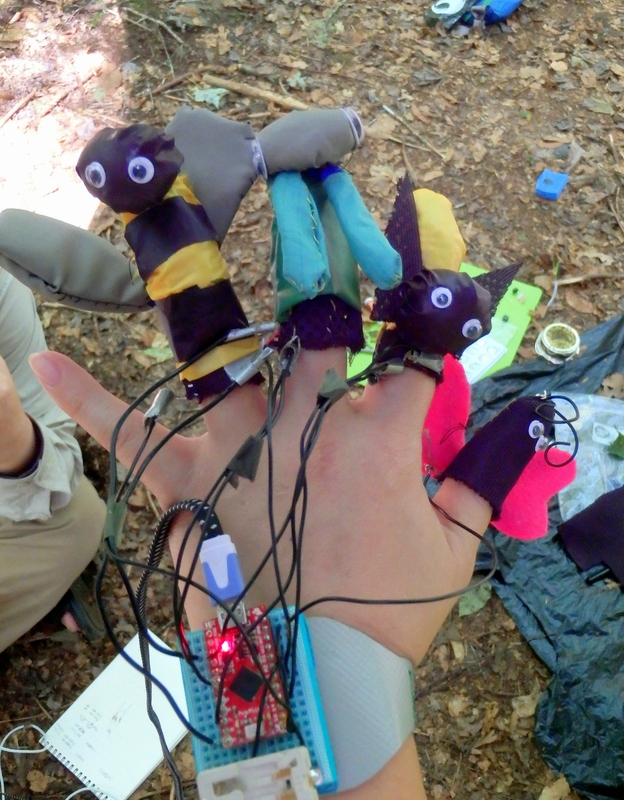 …that breadboards and pincushions have more in common than might be apparent at first sight? 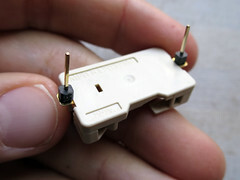 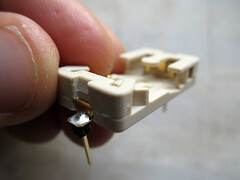 * Pins and sewing needles fit beautifully into breadboard holes, and they even make for great access points when working with crocodile clips. 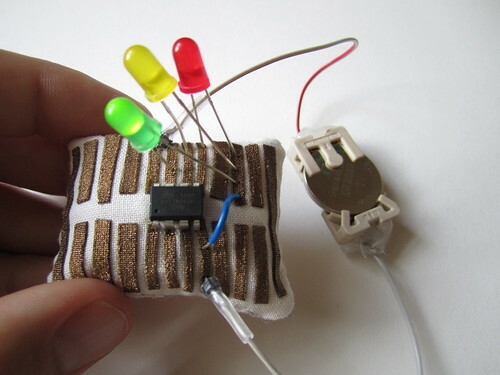 * Electronic components can be pressed into pincushions similarly to storing them in ESD foam for shielding and protecting the pins from getting mangled (if you stuff your pincushion with steel wool it even provides the same anti-static effect). 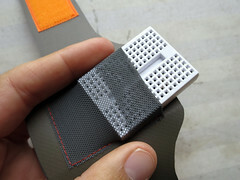 * The Breadboard Pincushion is an example I made to demonstrate the possibility of making a fabric breadboard that retains the functions of both tools (pin storage, electronics prototyping). 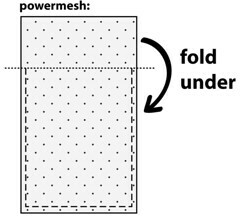 Fold the longer end of the powermesh over and under as shown in the illustration bellow. 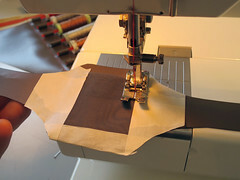 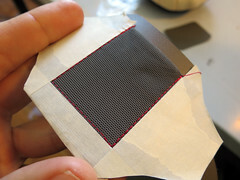 Use masking tape to hold the powermesh in place while sewing. 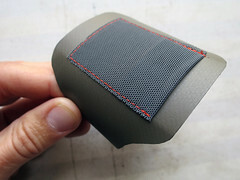 Add on Velcro or snaps as fasteners for closing the bracelet. 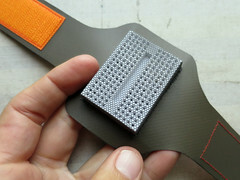 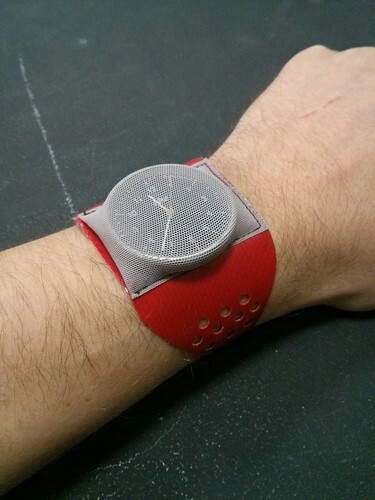 A watch buckle would also be a nice option. 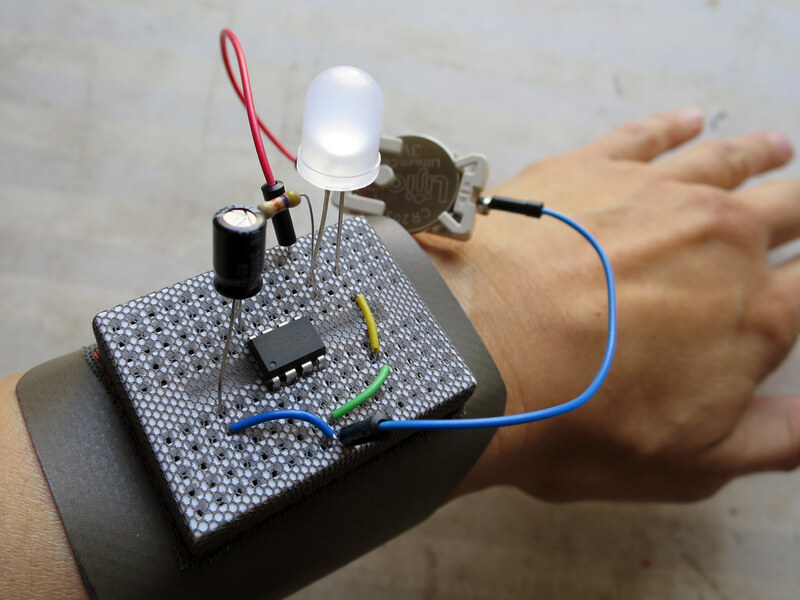 Build a circuit by pressing components into the breadboard through the holes of the powermesh. 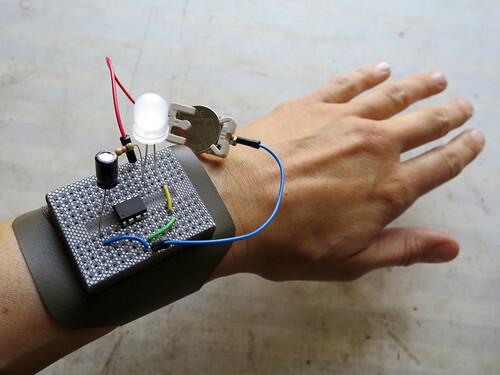 There are many examples of pincushion bracelets you can make for yourself, as well as DIY breadboards made from IDC connectors. 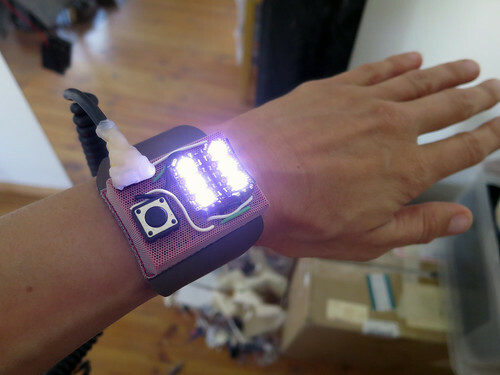 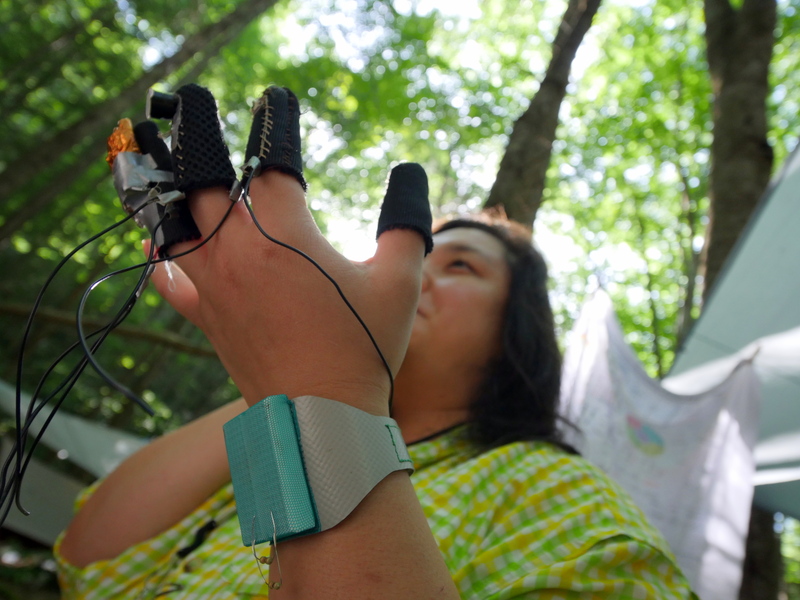 Plus you can find endless examples of circuitboards made into jewelry bracelets.